The ski resort Bansko is once more occupied by foreign visitors, who are spending their winter vacation in the Bulgarian town. The greatest influx of tourists for the season is expected in mid-February. A local hotel manager announced that vacationers spend 5 - 6 hours per day on the ski slopes, then relax at spa treatments, local nightclub parties and dinners in the taverns. 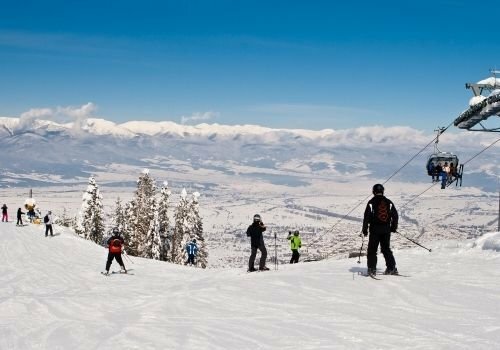 At the moment, there are 5000 English vacationers at the resort, with another group of 1000 tourists expected from Great Britain this coming weekend, most of them coming for a weeklong vacation in Bansko. According to Mariana Spasova, one of the chairmen at the tourist association in Bansko, there are 10 000 foreign tourists in the town at the moment.